Estimated Lease payment based on 36 months and $3,999 due at lease signing. Cash due at signing includes $7,268 capitalization cost reduction, which includes $795 acquisition fee, plus a required security deposit of $0, and first month's lease payment of $732. Excludes title, taxes, registration, and license fees. Total monthly payments equal $33,609. Mileage charge of $0.25 per mile over 10,000 miles. Not all consumers will qualify. Residency restrictions may apply. We are excited to offer this 2019 Lexus IS. This Lexus includes: BLIND SPOT MONITOR W/CROSS TRAFFIC ALERT Blind Spot Monitor Cross-Traffic Alert F SPORT PERFORATED LEATHER HEATED STEERING WHEEL Transmission w/Dual Shift Mode Heated Steering Wheel Leather Steering Wheel INTUITIVE PARK ASSIST Rear Parking Aid F SPORT PACKAGE Cooled Front Seat(s) Aluminum Wheels Power Passenger Seat Power Driver Seat Heated Front Seat(s) Driver Adjustable Lumbar Active Suspension Bucket Seats NAVIGATION PACKAGE Smart Device Integration HD Radio Navigation System CD Player AM/FM Stereo Satellite Radio Bluetooth Connection Auxiliary Audio Input MP3 Player TRIPLE-BEAM LED HEADLAMPS REAR SPOILER (PPO) Rear Spoiler *Note - For third party subscriptions or services, please contact the dealer for more information. * Today's luxury vehicle is not just about opulence. It's about a perfect balance of performance, comfort and attention to detail. This 2019 Lexus IS is the perfect example of the modern luxury. This vehicle has an added performance bonus: AWD. It improves handling on those winding back roads, and gives you added safety and control when driving through wet and snow weather conditions. Where do you need to go today? Just punch it into the Lexus IS on-board navigation system and hit the road. We look forward to seeing you soon! Please call us for more information. Considering a Lexus IS 350? Your destination to buy or lease a Lexus in Boston is Ira Lexus, where we boast an excellent inventory coupled with unbeatable customer service. Call us at (888) 257-3088 to hear about this vehicle's availability, or visit our Danvers Lexus dealership to test drive it in person. 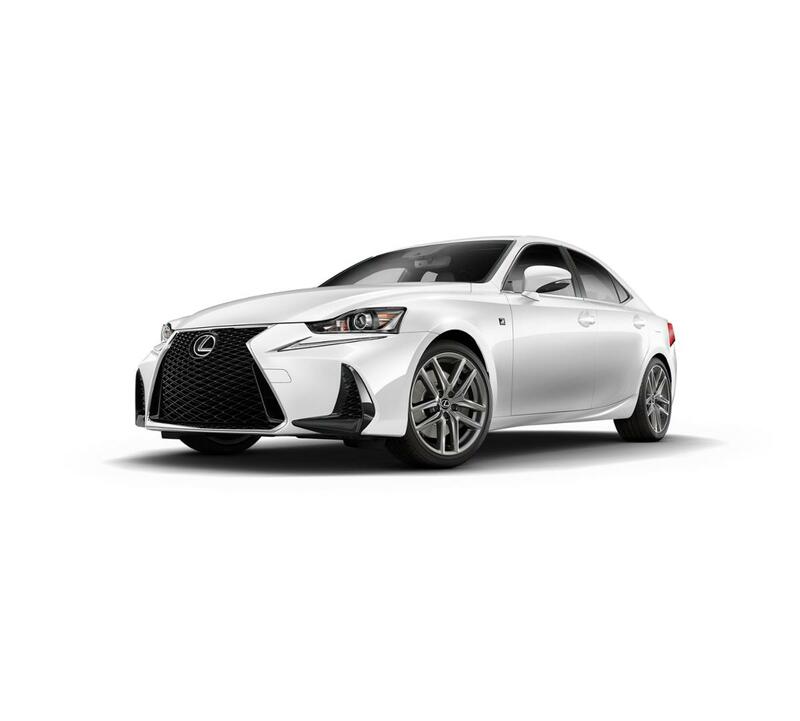 Whether you know you want a Lexus IS 350 or you've just begun your vehicle search, we're dedicated to helping you find that perfect Lexus for you. Visit us today.